True Confessions. Before You Forget! No Yoga Monday. True Confessions. Before You Forget! No Yoga Monday. It’s Labor Day. See you in two weeks, Monday, 6:15 PM at Wesley UMC, 3515 Helena Avenue, Nederland, Texas. September 17th, 2018. Call Gail 409-727-3177 48 prior to make childcare reservations! 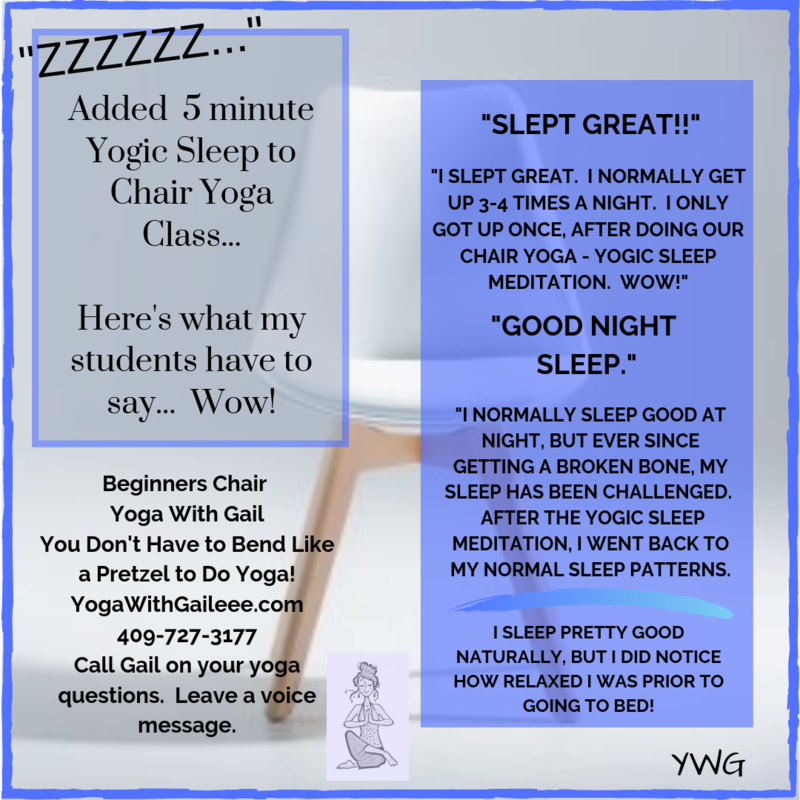 Chair Yoga on Thursday, September 6th, 2018 10:00 AM still happening!